Then you can help Furget Us Not Rescue earn money to help the animals without costing a dime! 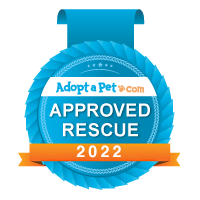 When you are asked to choose the non-profit you support, either enter our number YP020 or search for Furget Us Not Rescue. Then select, submit and shop like you normally would. It’s that easy! Furget Us Not Rescue, Inc is a 501(c)3 non-profit in Michigan. We are a small volunteer based rescue, meaning all of the cats, kittens, dogs and puppies are in foster homes. Animals going to their furever homes make more room for other urgent rescues to be saved. We save those who have been left behind and furgotten in shelters and help those who have been affected by our bad economy. If interested in fostering an animal, please follow this link. If you can not foster an animal, but would like to help in other ways, please follow this link. At this time we only adopt to residents of Michigan, but will also consider parts of Indiana, parts of Ohio, parts of New York and parts of Canada. Please note that filling out an application does not obligate you to adopt nor does it ensure approval. Pets are placed based on their personal needs, not every pet is compatible with every family. You must be 21 years of age when adopting. We do require a vet reference and a home visit. All applications can be found on "Our Adoptable Pets" tab.